5 packs of a fighter, stage and song are expected. It seems Nintendo isn’t quite finished with Super Smash Bros. Ultimate as today’s Nintendo Direct has confirmed that downloadable content will be available to purchase in 2019! 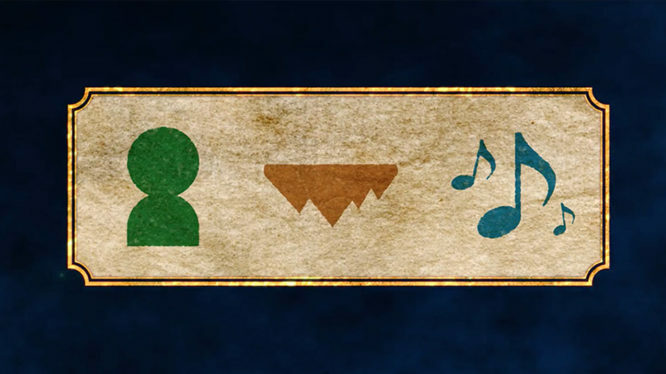 The paid DLC will be released in packs each containing a fighter, stage and accompanying music tracks. As all fighters from previous Super Smash Bros. games are already included in Ultimate, this means every DLC pack will include all-new contenders. Five packs are currently planned for release and are expected to be priced at £5.39 / $5.99 / €5,99. 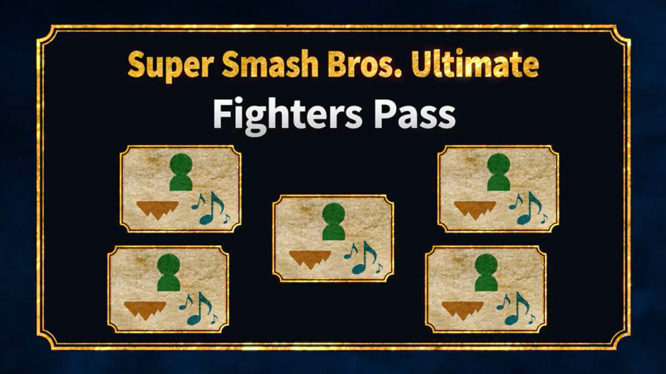 Nintendo is also releasing what they’re calling the “Fighters Pass” to allow players to purchase all of the DLC up-front. The Fighters Pass is expected to be priced at £22.49 / $24.99 / €24,99. The Mii Swordfighter Fighters Pass bonus. Smash Bros. fans that choose to buy the Fighters Pass also get a bonus for buying blind. 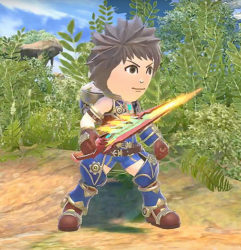 A Mii Swordfighter outfit based on Rex from Xenoblade Chronicles 2 as well as music from the Xenoblade Chronicles series will be available in-game. Fighters Pass bonuses will be available at launch on December, 7th. While the plans for the downloadable content were announced today, Masahiro Sakurai made it clear during the Direct that development has not yet started as the team are focused on completing the main game. Creation of the DLC will begin once the base game has shipped and it may take around a year for all five packs to be released. The news came from today’s Nintendo Direct along with the reveal of the game’s final fighters, the new Spirits mode, and much more. Super Smash Bros. Ultimate launches on the Nintendo Switch on December, 7th 2018.